BOOOM!!!!! OK so Adam has started a 28 day vegan raw challenge meaning “nothing cooked, nothing from animals & hemp with every meal!”. Yesterday, he asked me about a post-workout fridge cake and I realized I had none to offer. I mean, I seldom cook raw foods and not all of my stuff is vegan so I had to have a think. Whenever I go to vegan restaurants (most of which I absolutely LOVE because I find (good) vegan food to be absolutely kicking), I order ‘raw chocolate cakes’ if I happen to see them on the menu. I’d never tried making one but that’s kind of where taste and texture inspiration for this came from. 1. Blend all the ingredients but the cocoa, cacao, and apple. 2. When it was mixed, I added 15g of cocoa and 1 grated apple (which I had pressed down so it wouldn’t be overly liquidy). 3. To this I then added 26g of cacao nibs (for the crunch). 4. I pressed it into a baking mould and sprinkled with cocoa + cayenne pepper (oh yeah baby!) + cinnamon. Boom. To the fridge. Now, make and get ready to SERIOUSLY rejoice. 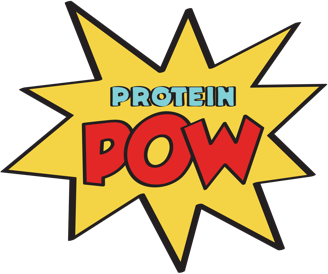 Top it with MORE protein to up the protein content if thou shalt desire it :-D (if you’re willing to desecrate the cake’s veganness, you can use a whey protein sauce but one with pea protein would be more than doable too). The beauty of the cake also is that it is totally sweetener free and oh so rich and dark! If you, unlike myself, are not into intense dark chocolate though, add some honey to the mixture? The cayenne worked beautifully on top, AY! It wasn’t much but it was certainly enough to get that KICK (which you can turn into a POW! by adding more, hehe). Ohhhhh this is GREAT!! ADAM, THANK YOU FOR THE CHALLENGE!!!!! It’s grand to think that such a thing is possible post workout, topped with protein fluff? Oh, mon Dieu!!!!!!! !